1) Freshstreet & Double Happiness. We’ve long been fans, perhaps some might say groupies, of Kenny and Misako, owners of Freshstreet. We’ve eagerly followed their doings and consumed their creations since they started Foodie Cart 2 years ago. Now manning the kitchen at Double Happiness, they’ve just started offering weekday lunches at the location in addition to their usual (and delicious) Thursday-Saturday night yakitori-centered dishes. 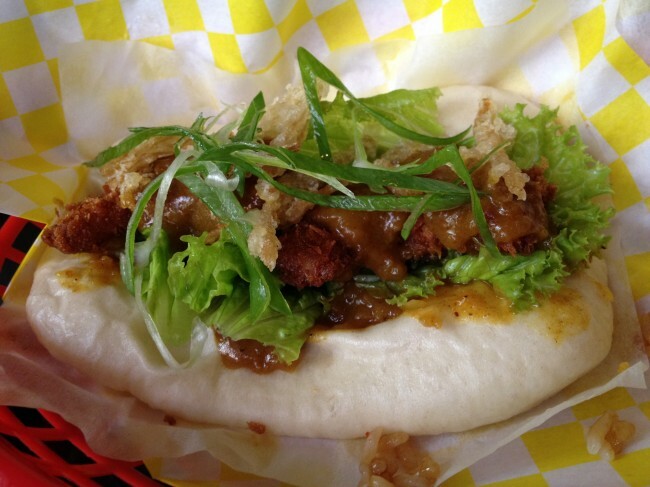 As with the evening service, expect the menu to change frequently at lunch, but current items have included bao (handmade Chinese bun) ‘sandwiches’ and Japanese style rice bowls. Both are delicious. As well as the fantastic food we’ve come to love the laid back vibe of Double Happiness; Adam’s quirky taste in movies, Brother’s Drake mead on tap, and the spacious ‘secret’ patio on the south side of the building. 2) Speaking of mead, one of our other favorite hangouts is Brothers Drake. 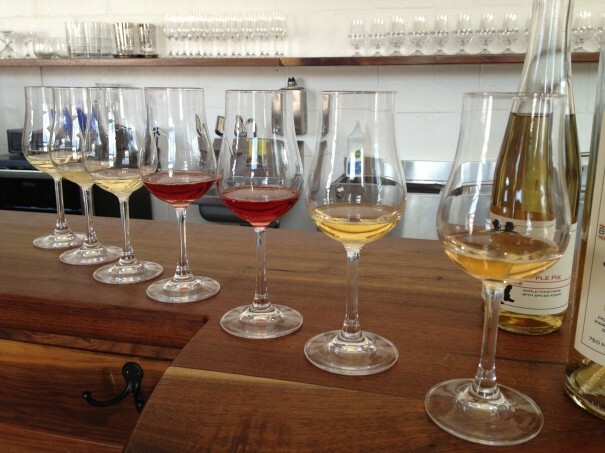 This meadery at Fifth and High is way more than a production facility for honey wine. It’s also a hip bar serving innovative cocktails made with Ohio spirits and mead, a performance space for local bands, and an art gallery. There’s also a new patio. If the word mead still makes you think of renaissance fairs, head to Brothers Drake to have your preconceptions blown away. 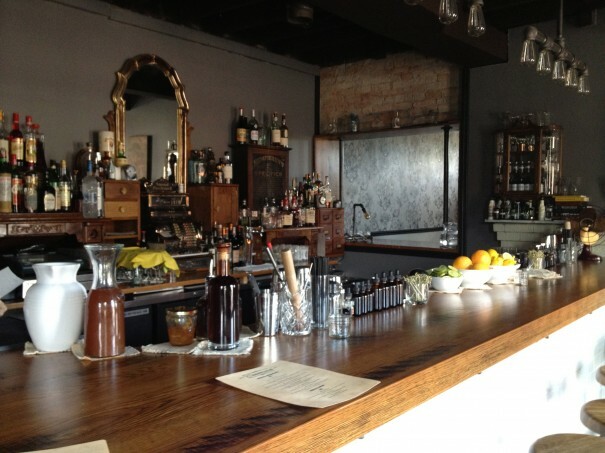 3) Our other favorite new bar is Curio at Harvest, a speakeasy style bar with a modern-meets-old-school atmosphere. Curio’s co-owner Travis Hyde, formerly of Guiseppe’s in Bexley, makes some fantastic cocktails including a margarita with kale juice and our favorite – the oh-so-smoky ‘hickory stick’. It doesn’t hurt that you can enjoy Harvest‘s oven-charred Neapolitan pizzas or plates of cheese and charcuterie with your cocktail. 4) Another new favorite of 2012 is Till. We’ve written about them before on this blog but they go from strength to strength. Till is a great option for lunch, brunch, or late night. Sit out on the patio and enjoy a refreshing house-made shrub, a beguilingly refreshing drinking vinegar – much better than the description would suggest!. The menu changes so often at Till that it’s hard to give recommendations, but the quality is consistent. 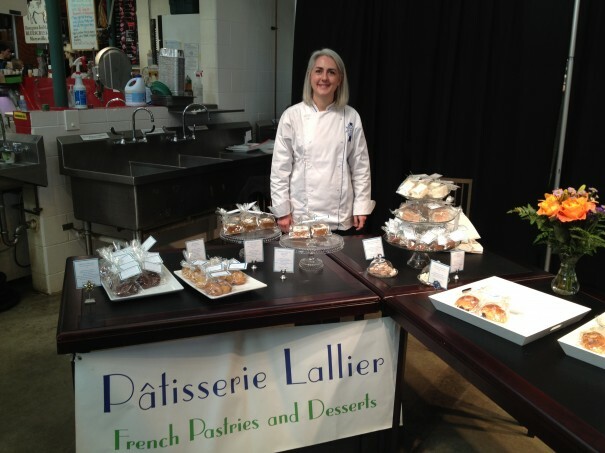 5) Patisserie Lallier is a new business specializing in French pastries. Owner Michelle Kozak trained at Le Cordon Bleu in Paris and the proof is in the product. We’ve come to love her almond paves and madelines, and are passionate devotees of her chocolate guimauves (marshmallows to you and me). You can find Michelle at the Clintonville Farmer’s market and buy her wares at Global Gallery in Clintonville, A Touch of Earth in the North Market and the Grandview Movie Theater. 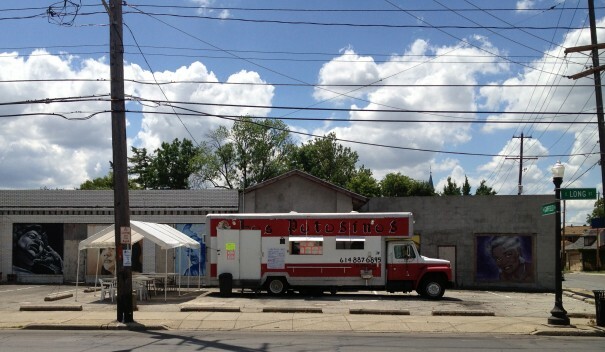 6) You may have noticed that Columbus has gone food truck crazy this summer. It’s hard for us to keep up with all of the new ones on our blog Street Eats Columbus and there are trucks specializing in everything from pierogi to fried chicken. Some of our favorite new trucks are: Ajumama (Korean fusion food), Blu Olive (we love their beet ricotta ravioli), Per Zoot (mmm meatball sandwiches), Sweet Carrot and That Food Truck with locally sourced and truck-butchered offerings. 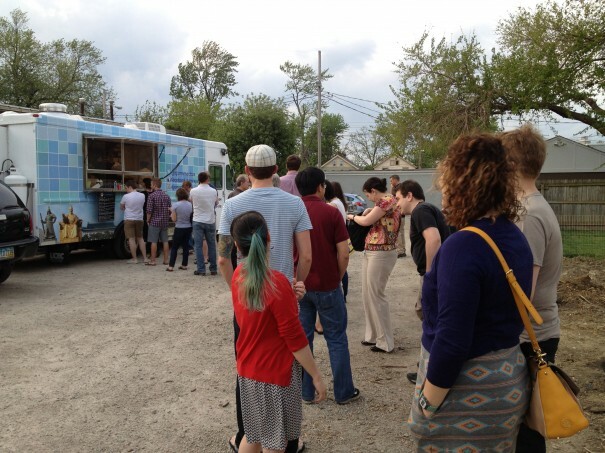 That Food Truck is going to be a stop on our Local Foods Week tour. 7) One of our favorite Alt Eats finds this year has been Estillo Brazil. 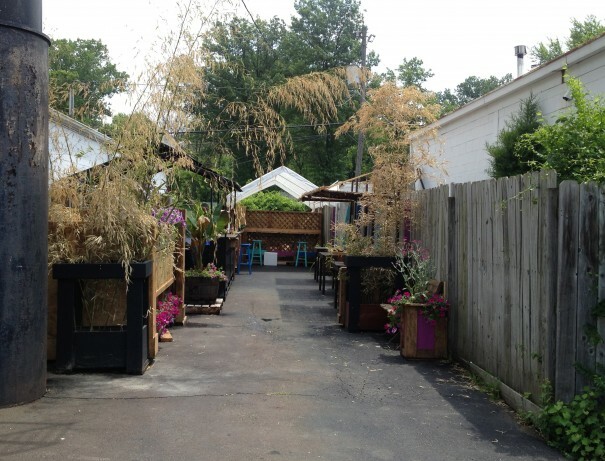 It has the feel of a beach shack with banana trees, outdoor seating and a laid back atmosphere. 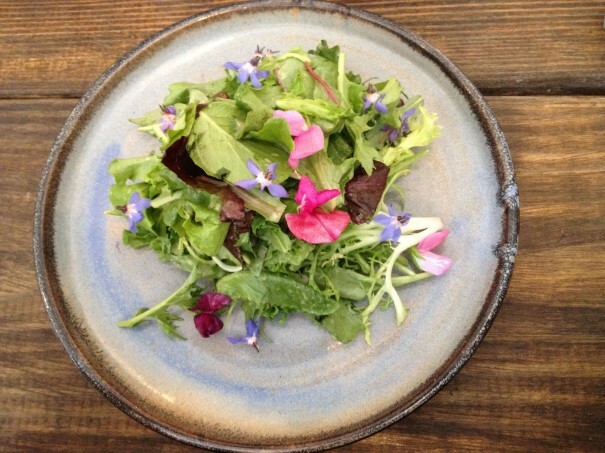 The food is delicious and novel, and we love the simplicity of the ‘one-plate of the day’ menu. During the week you’ll most often find picuña beef and if you get lucky the linguiça churrasco but on the weekend they offer additional dishes like grilled chicken and pan fried fish. 8 ) An old find in a new location: Los Potosinos has broken with taco truck orthodoxy (by venturing outside of heavily Latino-populated areas) and has recently moved to Long street in the King Lincoln District. 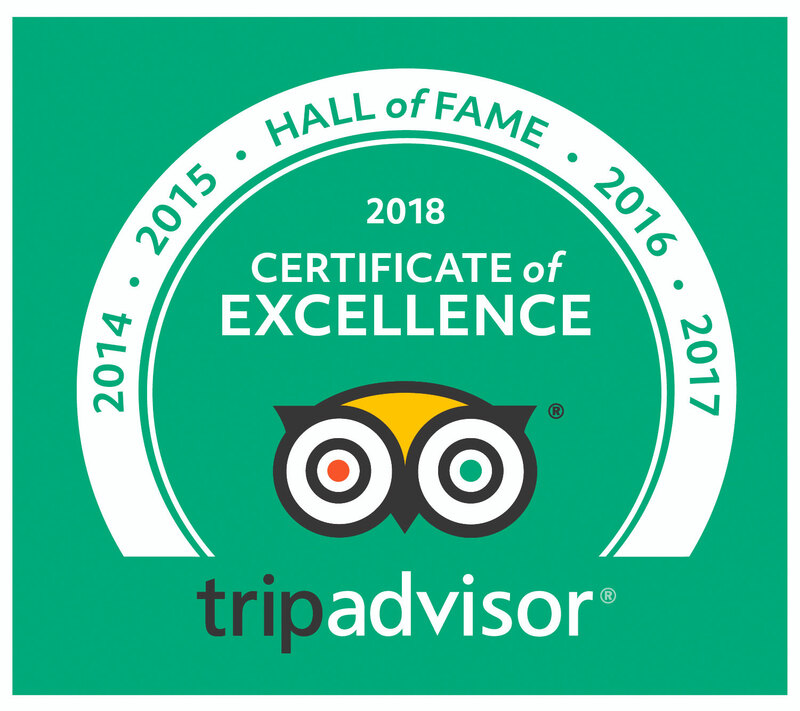 To be clear, this means that the downtown area has gone from being completely devoid of quality Mexican food to featuring some of the best in metro area. Owner, Lidia, is as charming and welcoming as ever and the menu continues to expand, now offering all day breakfast dishes. A bit of an aside – a couple of the locations mentioned above, specifically Brother’s Drake and Till, are featured in this year’s Local Foods Week tours. To learn more about the tours or to purchase tickets for them, please see here.